NORMAN SMITH, THE MAN WHO SAVES SNOWY OWLS! Norman Smith from Mass Audubon has done more to save Snowy Owls and bring awareness to this beautiful and at risk species than any other person nationwide. Since 1981 he has been at the forefront of Snowy Owl conservation and his Project SNOWstorm has become a model for saving and studying Snowy Owls around the country. Several weeks ago I was up north for my short film about Hedwig and came upon a Snowy Owl in the marsh. With very similar feather patterning around the face, I think she is the same Snowy that was released in the video! 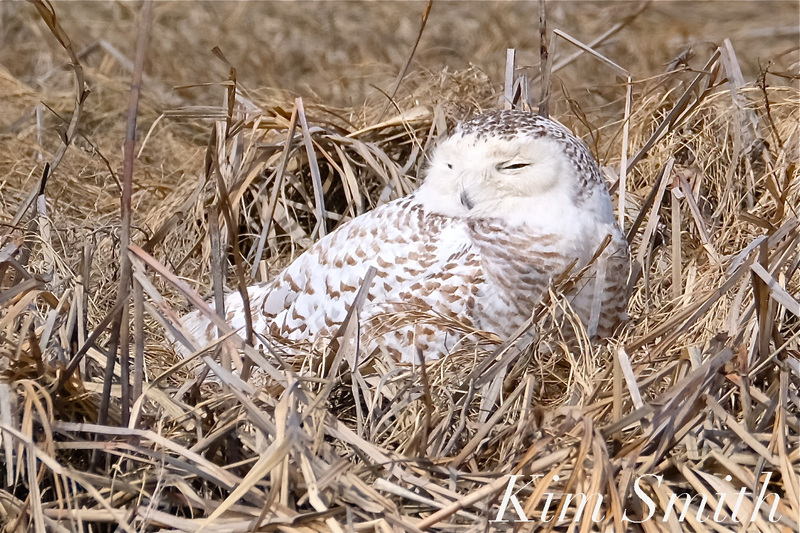 This entry was posted in Birds, Cape Ann Wildlife, Snowy Owls and tagged Beautiful Birds of Cape Ann, Bubo scandiacus, female Snowy Owl, hedwig, Norm Smith, Norman Smith, Project SNOWstorm, Salisbury Beach, Snowy Owl on March 28, 2018 by Kim Smith.